#TickTock11 - 75 Partners (INCLUDING US!) 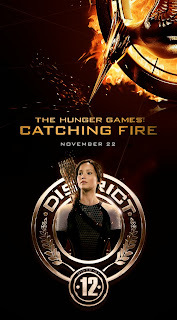 Give Away L.A. Catching Fire Premiere Tickets! WIN TICKETS TO THE L.A. PREMIERE!!! THAT'S RIGHT! 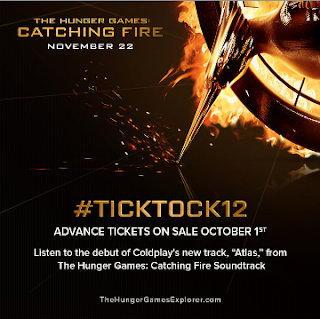 We are so very proud to be part of one of Catching Fire's Tick Tock moments -- #TickTock11!!! We are one of the 75 partners to be giving away two tickets to the L.A. 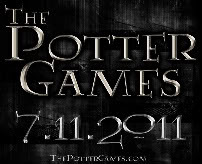 Premiere on November 18th, 2013. You know, 75 as in the the 75th Hunger Games, as in the Quarter Quell......GET IT!?!? We had A BLAST at the premiere last year, and no doubt we will be there again getting as much coverage as humanly possible. We know you want to experience it for yourself (and of course the actual MOVIE!) so 75 PARTNERS (including us!) are offering up chances to win tickets to the premiere in L.A.
As far as Tick Tock moments go, we've learned that CATCHING FIRE TICKETS GO ON SALE 10/1, and you've got 75 chances to win Catching Fire Premiere tickets! What will be next? For all the Tick Tock moments, check out Hunger Games Explorer! 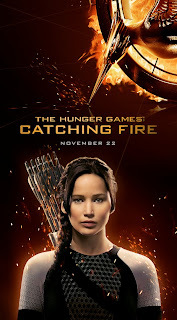 Have you played the new game at CokeCatchingFire.com? You can spin the coke bottle to win 8 Catching Fire wallpapers, and possibly a ringtone! But if you want to skip the 24 spins you need to collect all the wallpapers - we've got them right here! Download them below. There is also a chance you could win a ringtone too! We did win a ringtone....But it's only Rue's whistle, nothing new sadly. Yahoo! 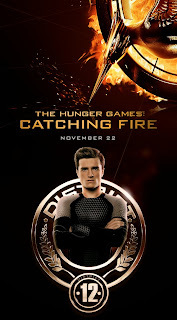 Movies UK and Ireland have released the FINAL global Catching Fire Poster! 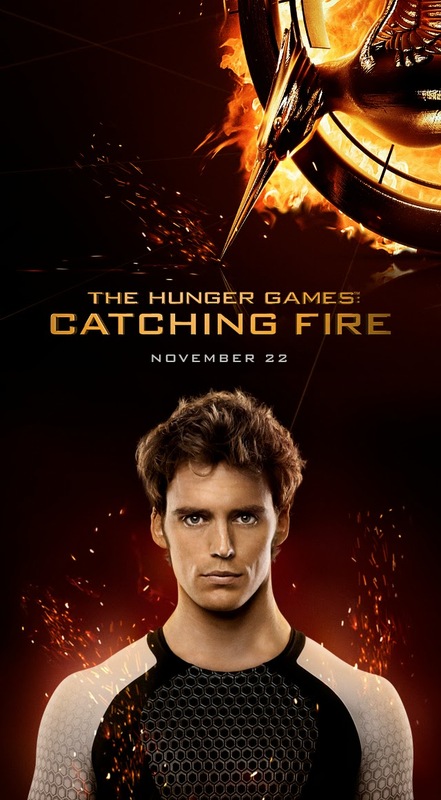 Fandango Catching Fire Advance Ticket Sale Perks!! 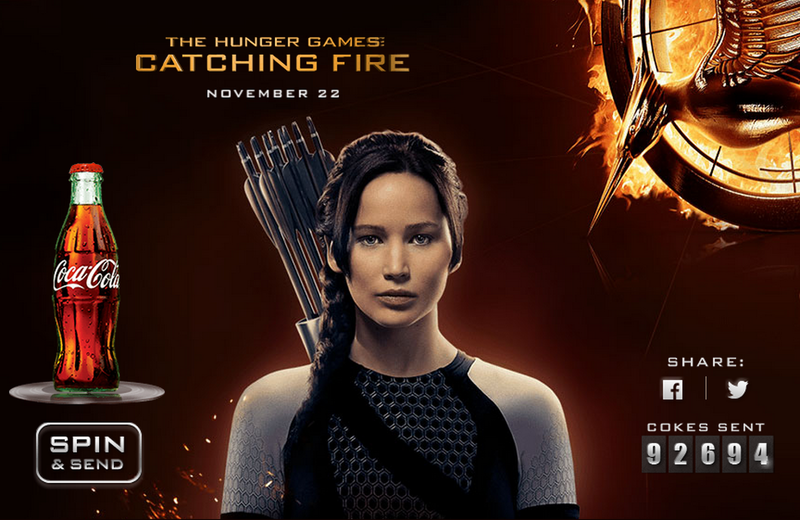 Advance tickets for Catching Fire goes on sale October 1st, but there's SO MUCH MORE! Read the press release below to read about their awesome sweepstakes (which you get entered in simply by purchasing tickets), a soon to be released behind the scenes featurette, and much more! #TickTock9 Press Release and Preview of Christina Aguilera' "We Remain"
Check out the #TickTock9 press release below and a Click HERE for a PREVIEW of Christina Aguilera's song, "We Remain" from Yahoo! Also top-lining this exceptionally talent-rich collection are The Lumineers, whose self-titled debut album achieved platinum sales status in the US, Canada (3x), UK, Ireland and Australia and Gold in Germany and France, with their hit single “Ho Hey” selling over 4.5 million single downloads in the US. Lorde, whose debut single “Royals” just made her the first female artist to top the Billboard Alternative Songs chart since Tracy Bonham in 1996, will also be featured on the soundtrack. Multi-platinum alternative rock band Imagine Dragons, whose 6x platinum selling song “Radioactive” was dubbed “the biggest rock hit of the year” by Rolling Stone magazine; UK singer / songwriter Ellie Goulding whose recent release Halcyon Days includes platinum singles “Anything Could Happen” and “I Need Your Love;” Grammy-nominated singer and songwriter Sia, whose recent collaborations "Titanium" with David Guetta and "Wild Ones" with Flo Rida were both featured in the Billboard Hot 100 Top 10 hits; pop indie duo Phantogram, who have collaborated with Big Boi, graced the cover of Filter Magazine, and who will release their debut album this fall; and platinum-certified Icelandic folk collective Of Monsters and Men, which became an international presence with the ubiquitous single "Little Talks,” contribute tracks as well. 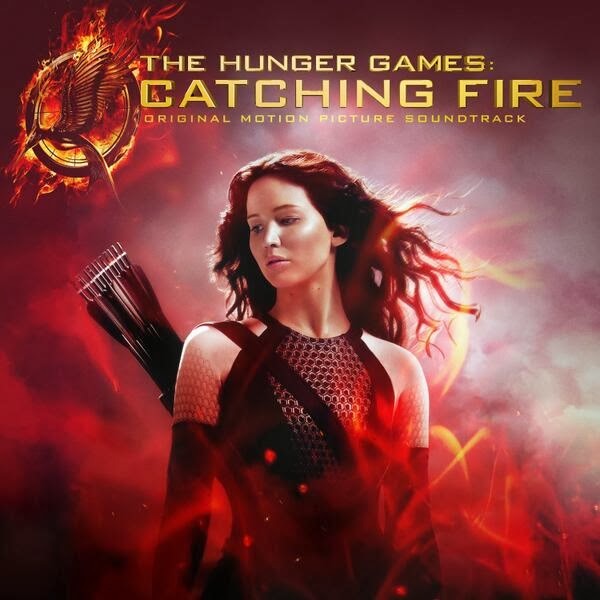 Acclaimed Brooklyn rockers The National, much buzzed about Nashville-based artist Mikky Ekko, the artist The Weeknd, and award-winning singer-songwriter Santigold round out the white-hot The Hunger Games: Catching Fire soundtrack, which has already seen its first release, Coldplay’s “Atlas,” debut at #1 on the iTunes Overall Top Songs chart. “Atlas” marks the first-ever motion picture soundtrack contribution written and recorded by Coldplay. The soundtrack will be available in stores and through all digital retailers on November 19, 2013 just before the film opens worldwide onNovember 22, 2013. Right now, the album can be pre-ordered via the film’s official online store. 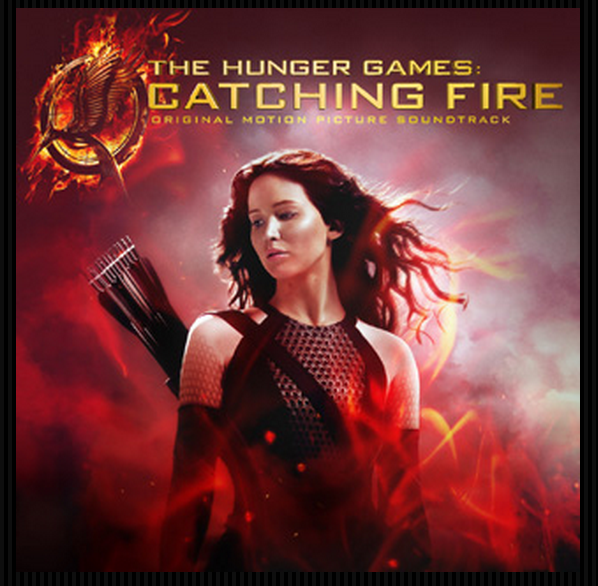 Those who pre-order the soundtrack by October 27th will have an opportunity to have their names printed on an exclusive The Hunger Games: Catching Fire poster (while supplies last). All pre-orders unlock an instant download of Coldplay’s “Atlas” as well. 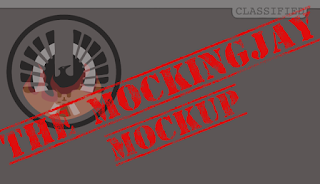 All good things must come to an end, and as we have seemed to reach the end of Mockingjay casting announcements, Mockingjay Mockup must finally conclude. This series has come from a deep and desperate love for the third book, and since we last posted (waaaaay back in February!) new information has come to light giving us more insight into the Mockingjay films. 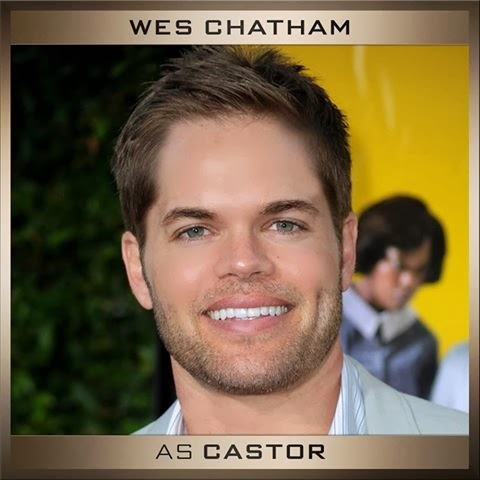 I'm talking about the most recent batch of castings: Cressida, Messalla, Paylor, Lyme, Homes, Castor, and Pollux. 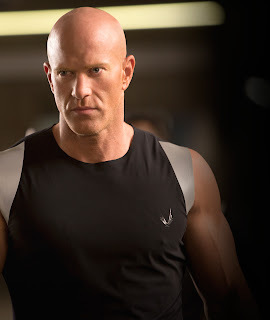 We already knew Annie and Boggs' casting would be announced, but we weren't sure about the rest. The above mentioned have actually been officially announced by Lionsgate, which says to us that although these are smaller roles they are important enough to be announced. It also seems that my notion of Paylor and Lyme's characters being somewhat fused together was incorrect, thank goodness. We tried thinking of ways that Lionsgate would cut plot corners, but so far there seems to be none. All these characters are being cast faithfully from what we can see. What's also interesting is the inclusion of Castor and Pollux. We are hoping that the existence of the Avoxes gets explained through Pollux, even if it is just a little. Maybe we are reading too much into these casting announcements, but it only speaks to us how faithful the Mockingjay films will be. So here we are again examining Mockingjay Part 2, or at least the version we think it could be. But let's be completely honest here. We are no screenwriters, just a couple of gals who have watched too many movies, our favorites being those that play around with plot. We don't claim to be experts about it, but have taken the knowledge we do know to hypothesize what the outcome of the Mockingjay films might be. Actually, when we came down to nailing down how it will all go we realized something slightly disheartening for a series claiming to give a credible Mockingjay film model: EVERYTHING IS IMPORTANT. We wanted to keep everything in. In fact, there is hardly anything we took out in our model. Whoopsies. Could a Hunger Games fan blame us though? 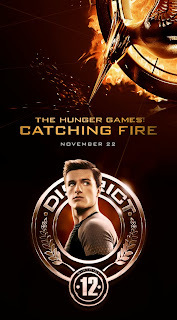 We feel everything needs to be established: What's happening with Peeta? How is Gale and Katniss' relationship slowly breaking down? How is the Katniss and Coin conflict progressing? What about Katniss' relationship with Finnick and Johanna? How is Prim growing up? 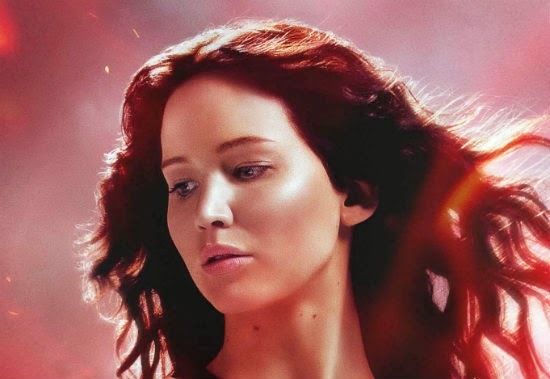 How does Snow continue to mess with Katniss' mind? How is the rebellion coming along? How are the districts doing? There are so many story lines that are important to the story and so many that we want to see come to life. It could be that while we were attempting to academically approach breaking the story and plot down, we were in conflict with our love for the story. How does a mother choose between her children? She doesn't. For that reason, we left most of it in. We've lost so many brain cells over this subject, we figured the important decisions are going to the professionals anyway. We have followed a very simple plot structure for our predicted Mockingjay but the truth is that Mockingjay Part 1 and 2 will most likely be a structure we've not even encountered. Mockingjay is COMPLICATED. So many stories and relationships to sift through, I have no idea how Danny Strong did it. But you know what? We're pretty sure he is super qualified and it seems that he and Francis Lawrence are fans enough to know how to honor it, but maybe not so emotionally involved as we are that we can't part with a story line. Sorry got carried away there. It seems the whole reason for this post is to talk about our "delusions of grandeur" for our envisioned Part 2. Here we will talk about how we think certain scenes could go visually, and delve into more detail about Mockingjay Part 2's important final moments. With all the drama happening in part two, we're almost at a lost as what to say. There are so many compelling moments, you could approach it a thousand different ways. First off, we'd like to see a sort of reminder of the state the country is in and/or what's happening with Snow. This subject sort of falls outside of what is in the book, and much like the Gamemaker side of things in the first film, we're curious to see what's happening on the other side. After that, the Nut seems to be an action and emotionally driven sequence. successful speech, Katniss still gets shot. We want that same shock to occur in the film, which can easily be illustrated by tone (We're looking at you, James Newton Howard). Will we see the aftermath of her being shot as it happened? In the book we find out as Katniss comes to in the hospital that yes, her speech was a success among the Nut survivors despite being shot. The magic of the movies is that we get to see what happens as it happens. In such an emotionally charged film, you've got to have some comic relief and moments of joy. Finnick and Annie's wedding is the perfect joyous occasion for film, and if you've noticed we keep suggesting montages of simultaneous events. We like the comparison of light and dark, we can't help it! A happy occasion against a brutal one. This could be compared to Peeta's condition, or something very wrong happening in The Capitol involving Snow. Then again, this story is such a harsh one perhaps the characters and the audience deserves a break from it all. 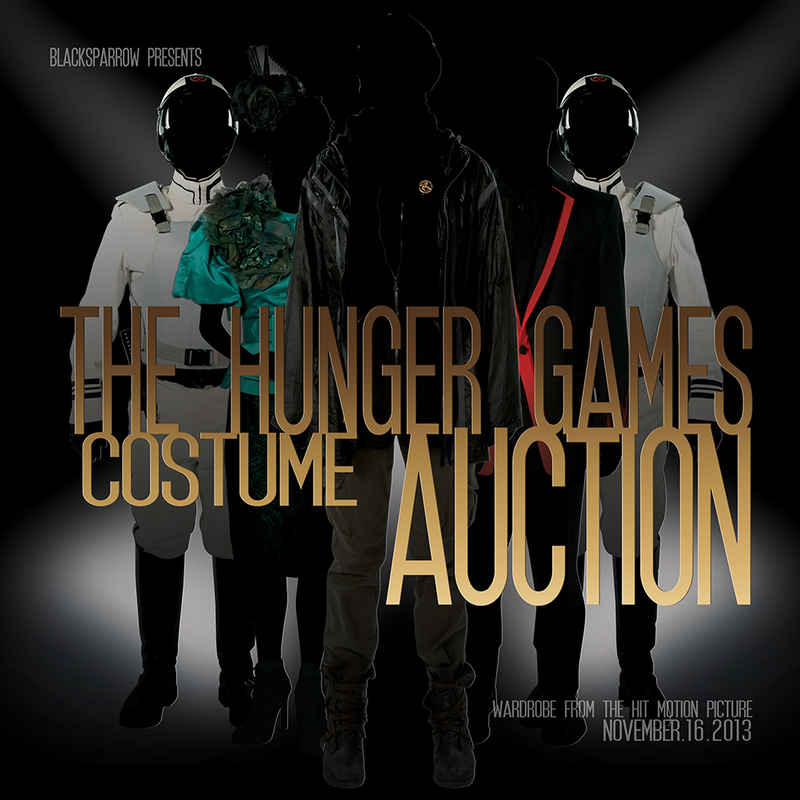 We want to see what an extravaganza District 13 has to offer, and of course we wouldn't want to miss seeing Katniss dance. So what other visually compelling moments does Mockingjay Part 2 have to offer? We're drowning in them! Will we get to see the the actual Star Squad 451 propos? We sure hope so! We want to be shaken, crushed, and at the very end, uplifted. We're curious to see just how intense the race to the Capitol gets. I'm sure we won't see Boggs' legs get blown clean off due to the rating, but that's not to say it won't be horrific. We want to be terrified when they are in sewers, and…… we're dreading Finnick's death scene. It's kind of a blur in the book, much how death in war can be. Will they do it as it's written? 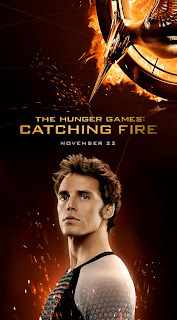 Or will Finnick get a bigger scene since he is such an important and beloved character? We're not even sure ourselves which we'd prefer. 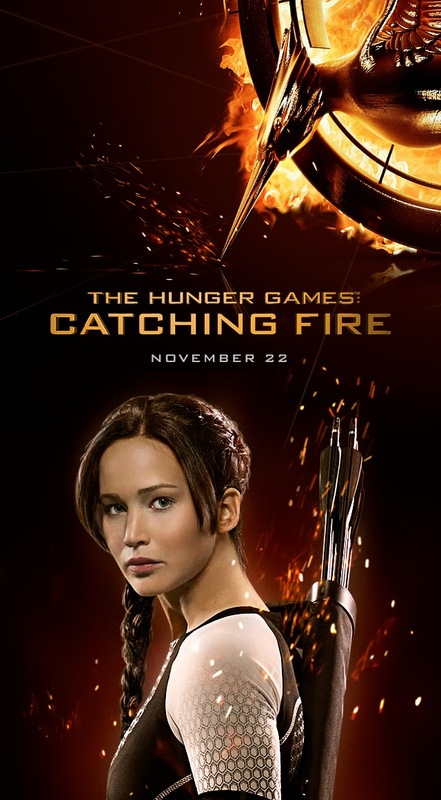 How will Danny Strong and Francis Lawrence tie it all up in the end? We hope that they grab the terrible visuals the books has to offer to illustrate how blurred the sides of rebels and the Capitol are. We will be disappointed if the girl in the lemon coat doesn't make the cut. It is terribly horrible, but we like the slight references to Schindler's List that Suzanne Collins(whether she meant to or not) evoked in the section we labeled as the "pre-climax". All that's enough to exhaust anyone emotionally, but the viewer is nowhere near out of the woods. We have Katniss' dream sequence, her struggle to find answers, a final conversation with Snow, the Mockingjay Deal, the final climax of Coin's assassination and trial, Katniss' return home, and the epilogue. So much in the aftermath of Prim's death are incredibly compelling and realistic. We know they can't do everything, but somehow we feel as if the aftermath is the most important. The blurred lines is the possible notion that the parachutes were a plot from Coin to end the war. This is one of the most important points in Mockingjay and without it, it wouldn't be a faithful adaptation. We're just glad we don't have to decide what will end up on the cutting room floor. Everything Katniss has gone through and experienced has led the audience to where Katniss is after the parachutes go off. 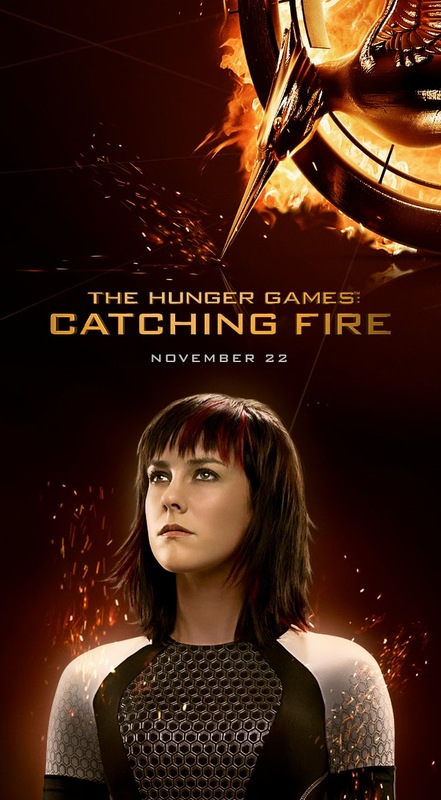 Many fans often forget that Katniss has a whole trial while she is in solitary confinement. 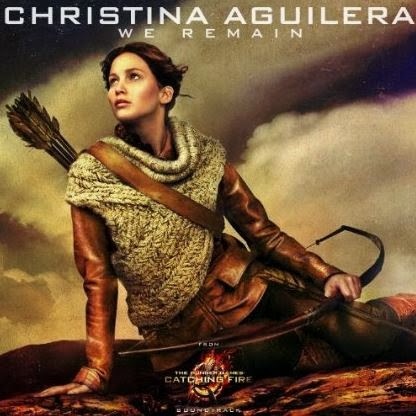 We want to see who comes out of the woodwork to fight for Katniss' freedom, and we want to hear her sing during her solitude. We want to see Mockingjay unfold as it does in the books, and we don't want anything to be rushed after Coin's assassination. The aftermath of that plot point is extremely important to us as well. 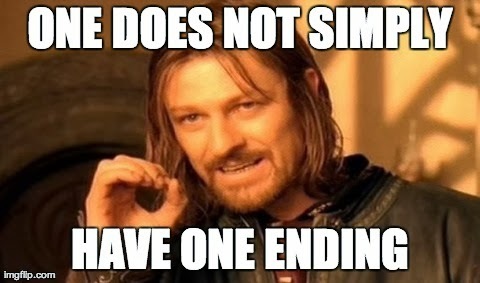 If this reminds us of anything it's (here we go again with the Lord of the Rings references) reminiscent of the "many endings" in Return of the King. You've got the reuniting in Rivendell, the coronation, the return to the Shire, the Grey Havens, and finally Sam's wedding. We've heard lots of complaints about Return of the King's "many endings". Maybe people just don't have patience with films anymore, but we think that epic tales ought to have epic endings. So many stories have been told, and it's entirely necessary to close them up. Though, perhaps not all of them in the case of Mockingjay. 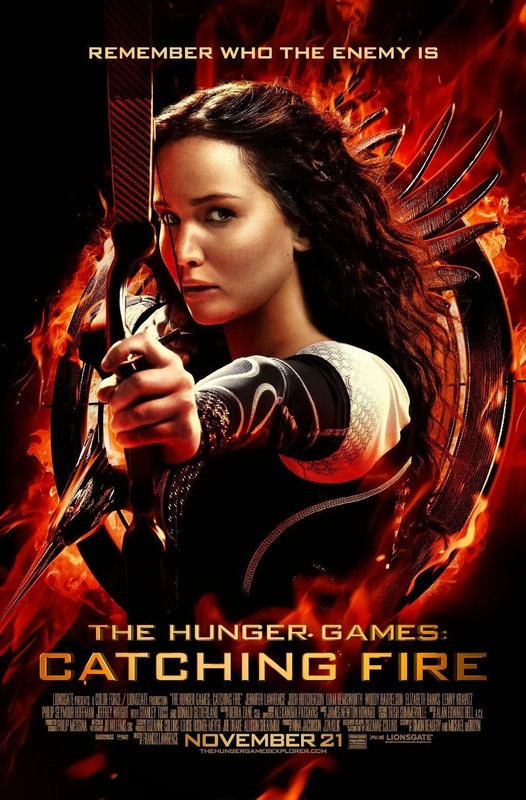 Part of Mockingjay's realness is the lack of closure, but perhaps the fact that it's a film that will require a little more closure than the book for sake of the audience. We are completely fine with the multiple endings for Mockingjay as we were for Return of the King. We need to see the aftermath of the parachutes, the aftermath of Coin's assassination, Katniss' return home, and the final epilogue. We'd like to end Mockingjay Mockup by discussing the epilogue of the franchise. Obviously, we get a look at Katniss and Peeta into their years with children. The plant book teaches them and the world what happened and to never forget those who were lost. 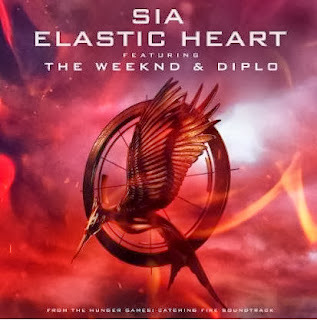 But what about Katniss? She saves Panem from a horrible fate, but by the end she may be seen as a traitorous lunatic. It could easily seem that way, but she must be a loved figure all over the country for what she did. 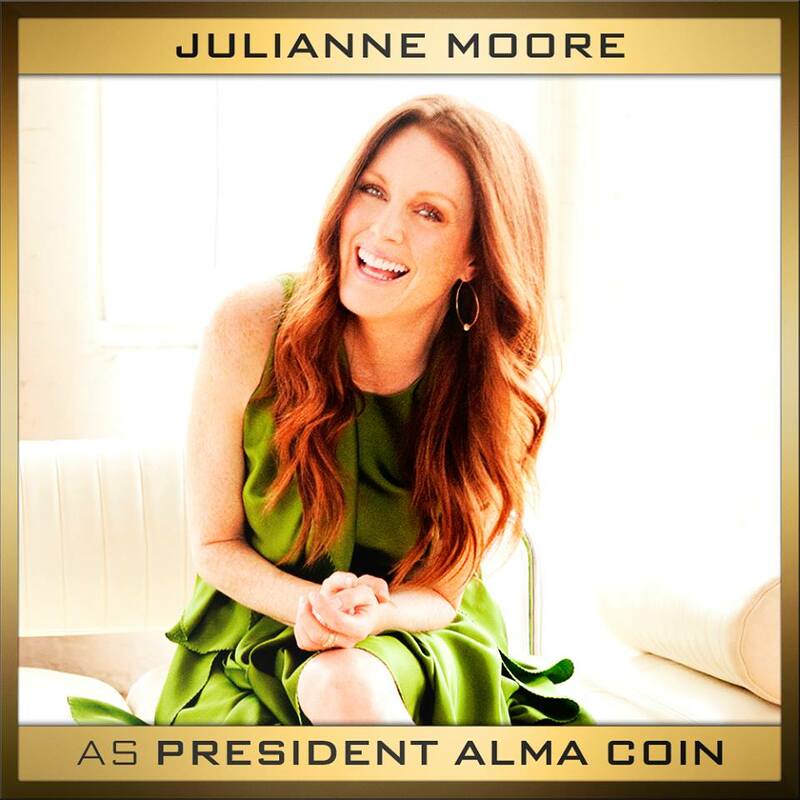 She was Panem's savior, the face of freedom from oppression. Insert your favorite historical parallel here, because it could easily be the inspiration for the final conclusion of Mockingjay. The final moments of the film have to be uplifting, an inspirational message. We want the seasoned readers to be reminded of the purpose of the trials and tribulations the characters go through: even in the darkest places, there is always hope. * Thank you to all who have read our Mockingjay Mockup series. It's so great to read all of your comments, and we can't wait for the films! Thanks for all your support! For those of you who don't remember Homes, he is part of Squad 451 as a sharp shooter. His character was known for being able to "shoot the dust off your boots from 50 yards". We thought casting announcements were done, but are delighted to see that small roles such as Homes are being announced! 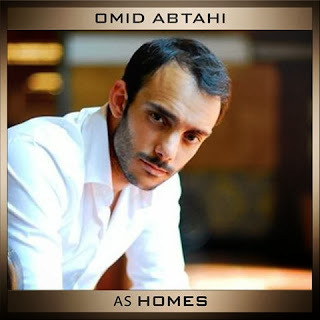 Check out Omid's IMDB page as he has been in Argo and a ton of really cool TV shows! 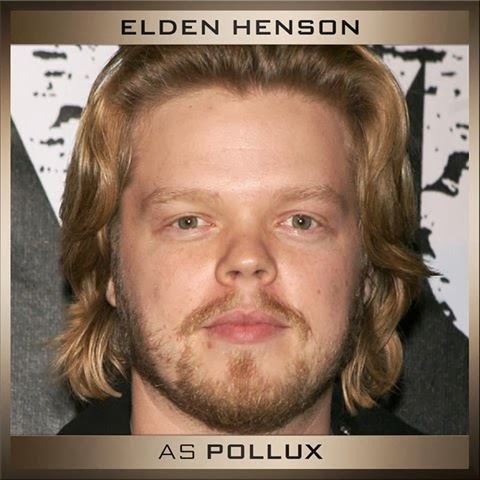 Castor and Pollux castings were announced today by The Hunger Games facebook page! We cannot wait to see these two step into their brotherly roles for Mockingjay part 1 & 2. Our biggest question is.... will Pollux be an Avox even though that subplot has been ignored so far in the films? It seems that Catching Fire will be faithful according to those involved, so it's possible Avoxes could still get a mention. If not, perhaps the subject could still be tackled in the Mockingjay films due to the extra amount of screen time available to the script. We could go on and on about this subject, but I guess we will save that for our last installment of Mockingjay Mockup. Is this it for Mockingjay castings? Check out this new teaser outdoor art for The Hunger Games: Catching Fire! Click the image below for high-res. Lionsgate gave one lucky fan @ToriiJaade the opportunity to debut this on her social media outlets since she is #1 on Hunger Games Explorer and has tons of sparks! 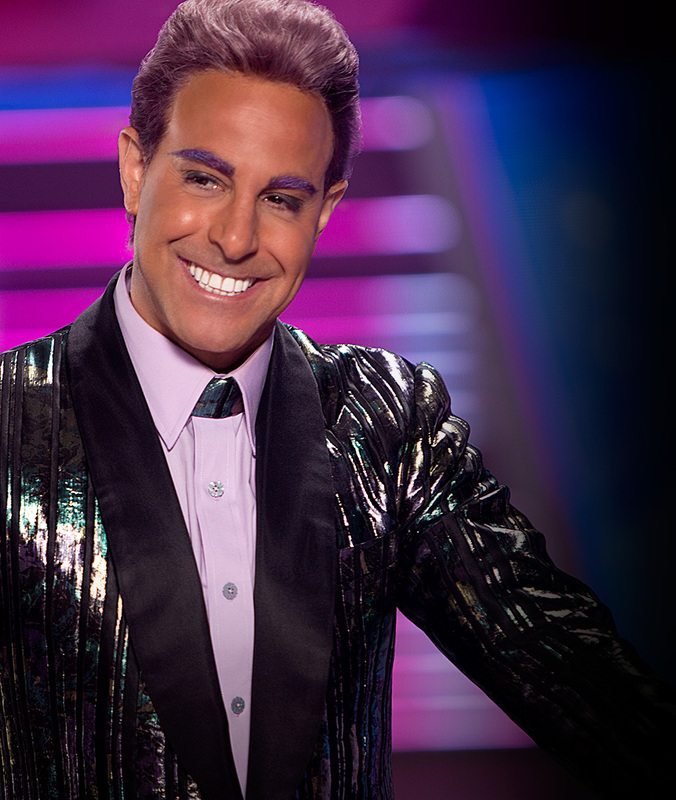 We're especially loving the Cinna quote! Too many feels! We can stop holding our breaths! Today Lionsgate announced that Mahershala Ali has been cast as Boggs! He's got a pretty awesome resume, having been on shows like The 4400, House of Cards, Treme and Alphas, and the movie The Place Beyond the Pines. #TickTock10 -- A Chance to Attend a Global Premiere! The winner will be picked randomly from the entries in the winning city, so be sure to tweet like crazy! Participants will also earn the #TickTock10 badge and 100 bonus sparks. The contest ends October 11th. Lastly, If you don't live in the US or Canada, you're still in luck! Each country will be offering tickets to their premieres as well. Click below to enter each INTERNATIONAL CONTEST! We now have our Paylor! 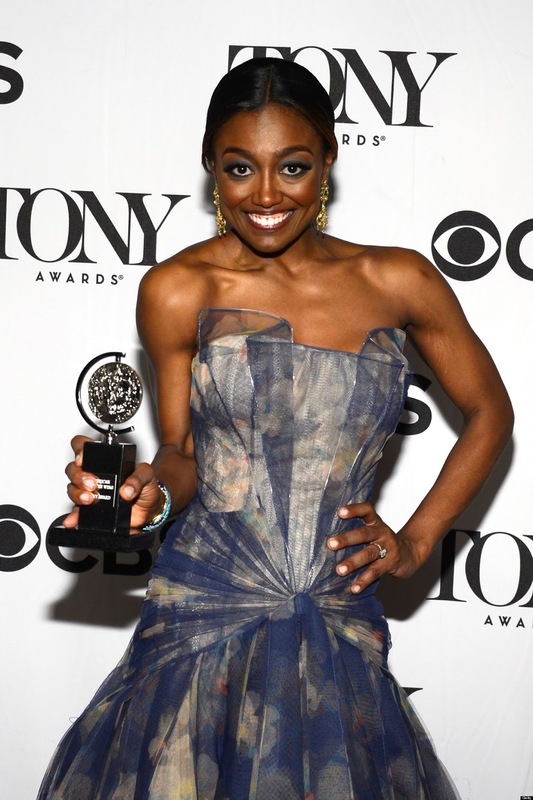 Patina Miller, who won a Tony for her role in Pippin, will play District 8's Commander Paylor. We're really excited about this announcement, and you should be too. If you remember her role in Mockingjay, along with being there when Katniss goes to District 8, she ends up being very important towards the end of the series. so its official guys!!! 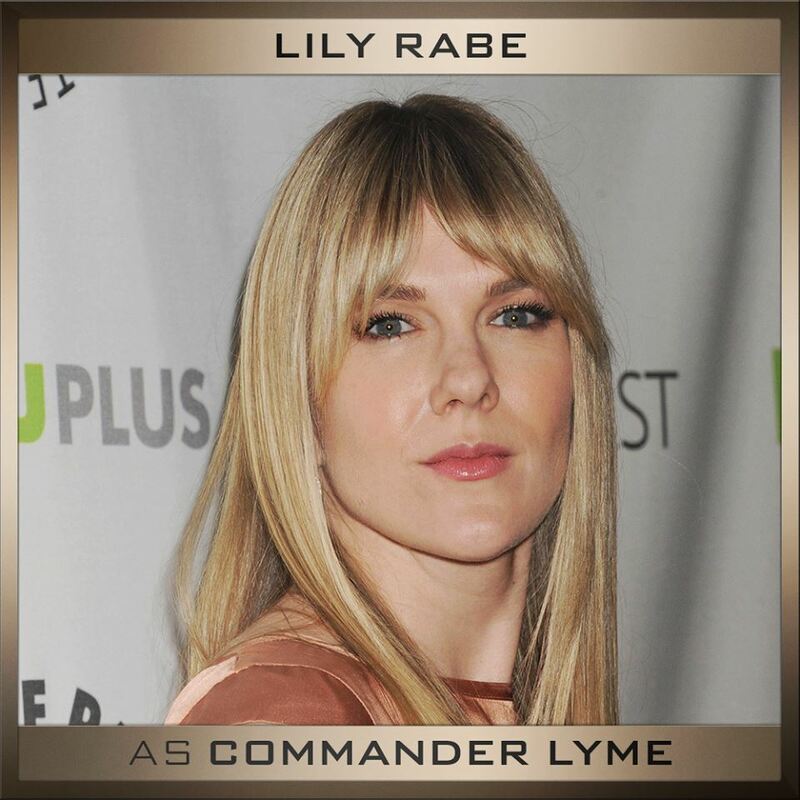 i will be playing Commander Paylor in @TheHungerGames: Mockingjay 1&2!! So incredibly grateful and so excited ! Go follow her and show her some love! 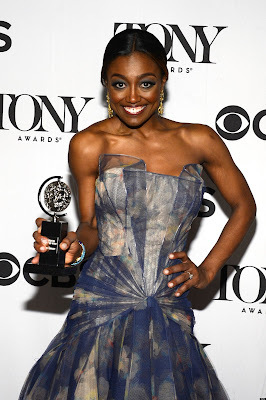 Another Mockingjay casting!! Lily Rabe has been cast as Commander Lyme, the past District 2 victor in charge of the cracking the "Nut". Who will be cast next? 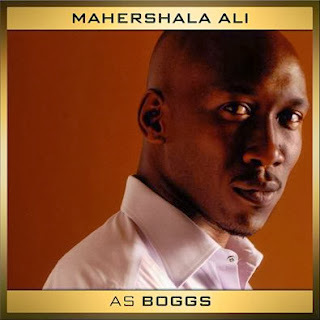 Boggs perhaps? On The Hunger Games Explorer, there are mini-bios for the cast accompanied by some new Catching Fire character images. Check them out! 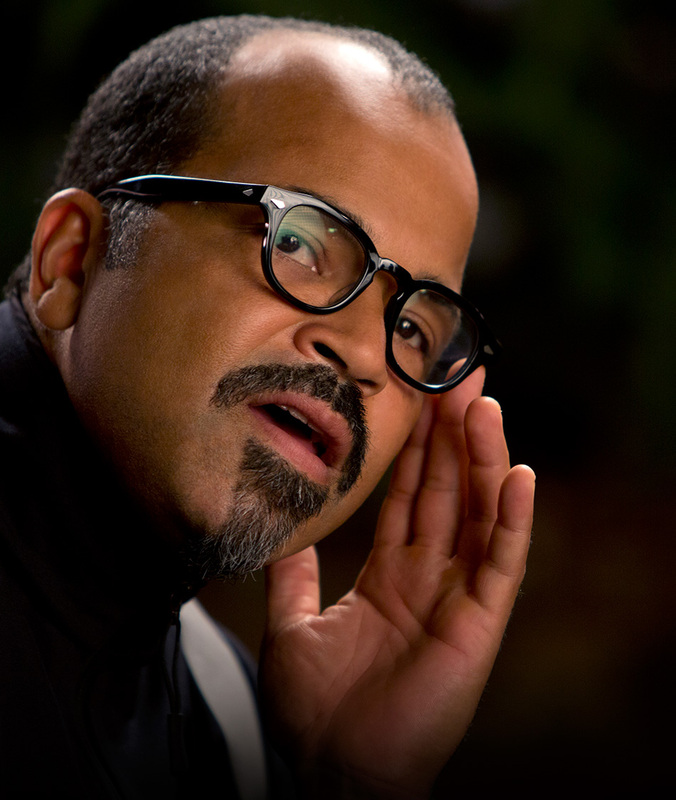 When we stumbled upon this interview with Jeffrey Wright, we had to post this ASAP. In this interview, Jeffrey talks about how deeply the fans connect with the series based on his trip to Comic-Con. What is SUPER NIFTY for us is that he mentions the meet & greet with the fan sites because he asked us all the same question: "Why are you so passionate about this stuff?" We've always been really thrilled about Jeffrey Wright playing Beetee, but seeing the respect he had for the fans at Comic Con was so refreshing. He truly understands, and as fans that means the world to us. 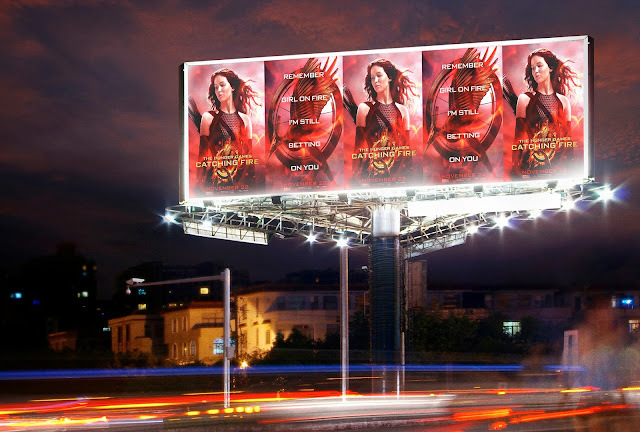 Something is FINALLY happening, Tributes!! Hunger Games Explorer has launched a "Tick Tock Countdown" and it looks like there are 12 hashtags: #TickTock1 through #TickTock12. From the look of the countdown page, each hashtag is assigned to a section of the area clock to be unlocked in due time. 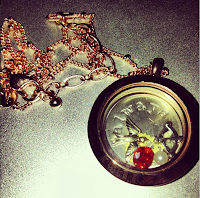 The first countdown is for #TickTock12 which looks like something will be revealed TOMORROW MORNING @ 10 PST. 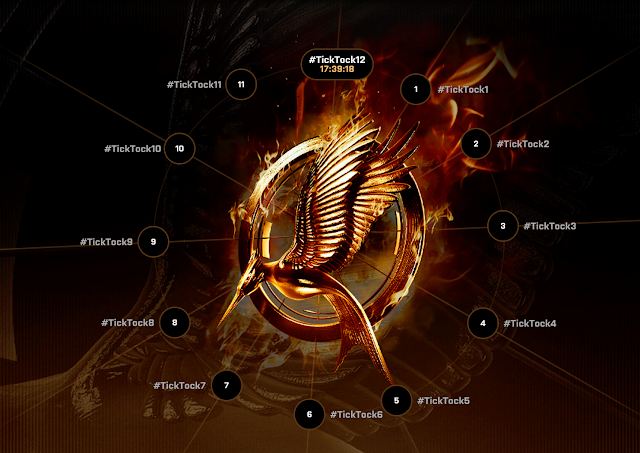 Only a few more hours to tweet #TickTock12! What do you think they will announce? !